This cup game survived the weather and, although the pitch was heavy and it was bitterly cold, both sets of fans watched an entertaining match. Linlithgow were severely understrength, with a number of players missing either through injury or non-availability. Ross High are enjoying a very successful season and currently sit at the top of the league below the Reds. Ross High kicked off and for the first 10 minutes the game was played between both 10 metre lines with neither team gaining the initiative. 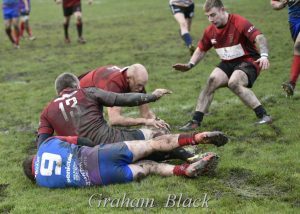 The home side were first to score as they burst through the Linlithgow defence, the conversion falling well short against the strong wind. Linlithgow responded well, putting pressure on the home team’s try line only to be penalised for crossing. They didn’t have to wait long for a score as Euan Mochrie burst through for a try, with Rab Cairns adding the conversion. However, the lead didn’t last long as Ross High added a penalty to make it 8-7 for the home side. Linlithgow put the home side under more pressure, but somehow Ross High won the ball back and broke dangerously down the left side. 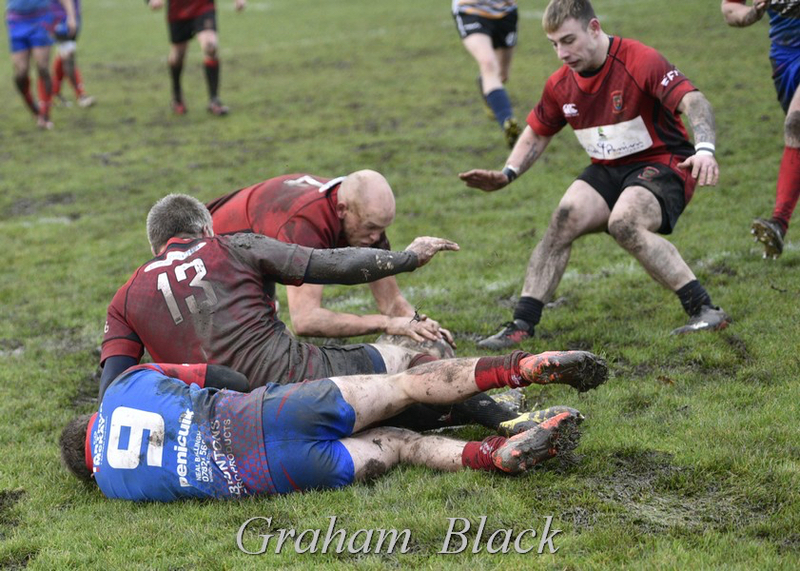 A penalty was awarded which was kickable, but they opted for touch instead and the gamble paid off as they scored their second try down the blind side. 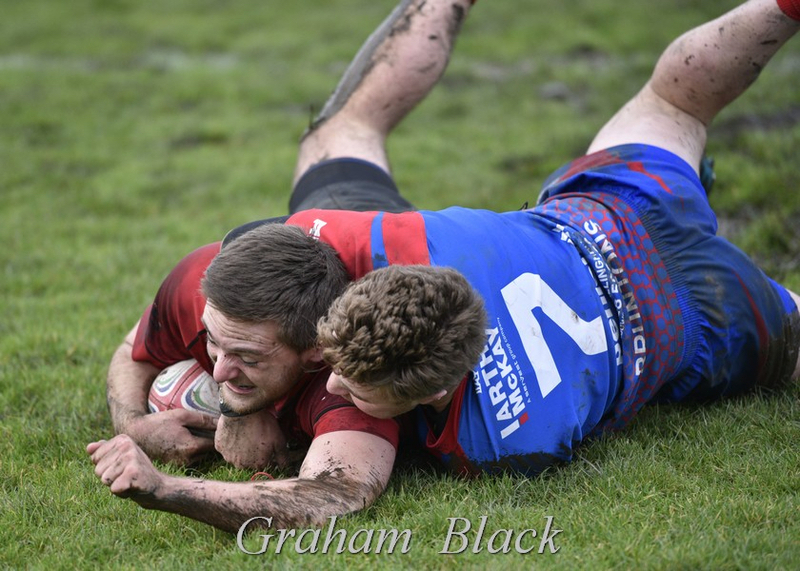 Worse was to come in the next attack and Linlithgow will be glad that the camera wasn’t there to record the poor tackling which allowed Ross High a try from inside their own half. As half time approached, Linlithgow got a try back through Neil Lockhart after a clever kick in behind the defence, the bounce being unkind to the full back. Rab Cairns scored a fine conversion to make the half time score 20-14 in favour of Ross High. The second half began badly for Linlithgow as, after surviving a sustained period of pressure, Ross High again went in at the corner to extend their lead. Linlithgow came back as Rab Cairns gathered a tap back straight from the kick off and scored a try in the corner, converting his own try. This brought the Reds to within 4 points, at 25-21. However Ross High sealed the victory with 2 late unconverted tries. Ross High had a man yellow carded with 5 minutes to go, but although Linlithgow had plenty possession they didn’t look like salvaging anything from the game. 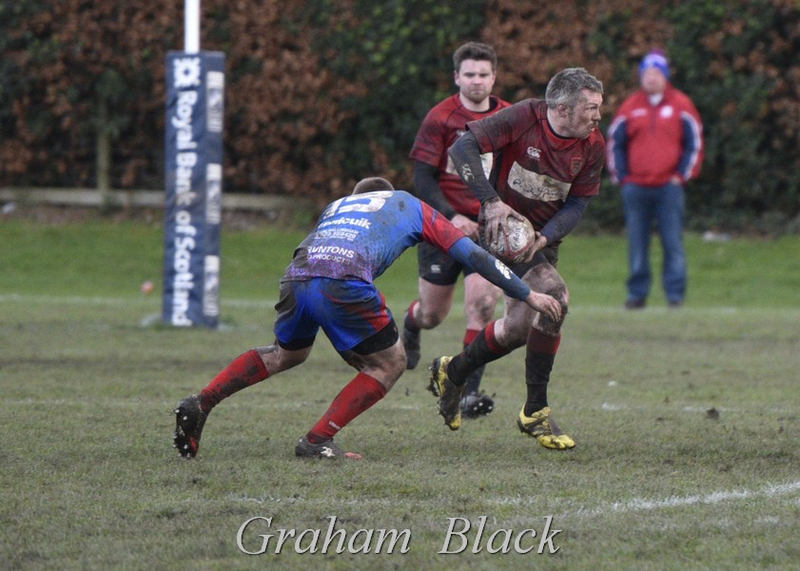 Back to league action for the firsts this Saturday at home against Hawick Harlequins (kick off 2pm), while the unbeaten 2’s have a tricky away game at Forrester. Ross Tulloch; Peter Miller, Rab Cairns, Mark Caddle, Cammy Walker; Chris Ronalson, Jamie March; Ally Maclean, Euan Mochrie, Chris Archer; Neil Lockhart, Sean Hagerty; Andrew Archer, Lauchlan McCall, Kieran Cochrane.